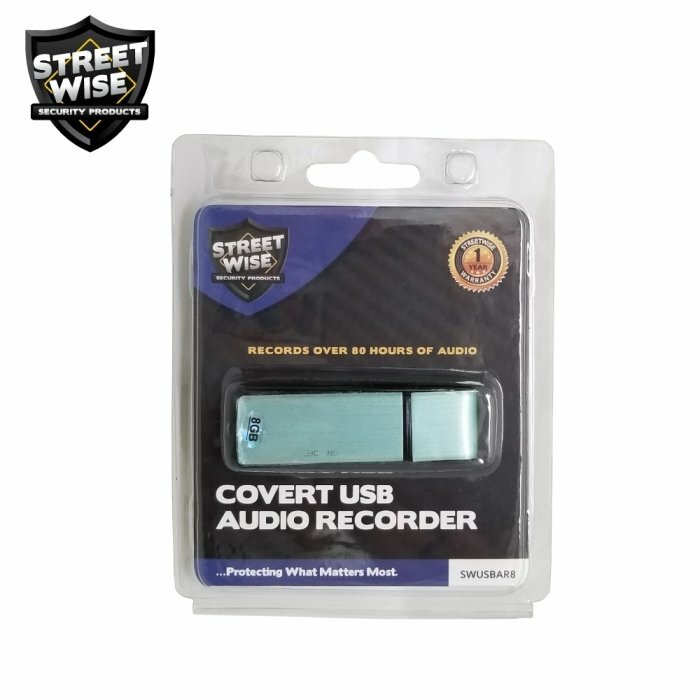 The Covert USB Audio Recorder (8GB) can perform two functions: it can be used as a USB flash drive with 8GB of internal memory or a discrete audio recorder that can record up to 80 hours. The unit comes with 8GB of internal memory (not upgradeable). Just by sliding a small switch, audio can be recorded easily and discretely in seconds. 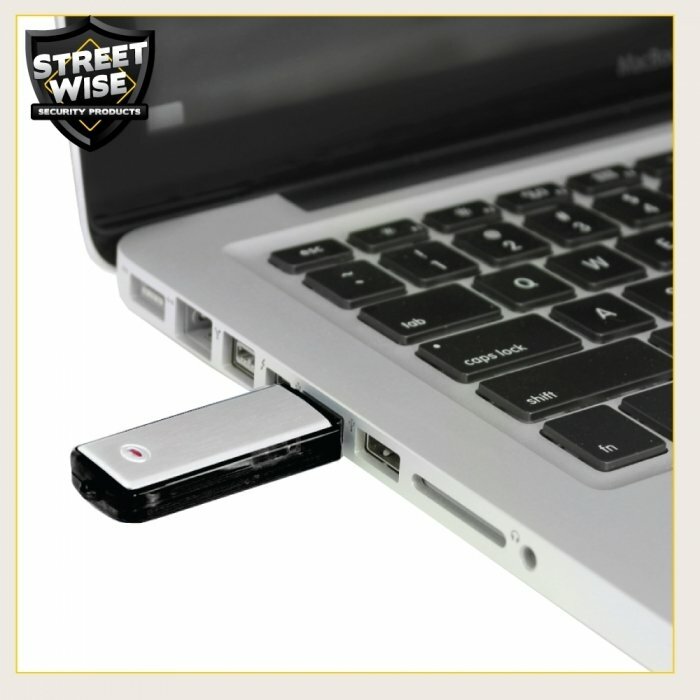 When finished, simply connect the unit to your computer's USB port for playback. 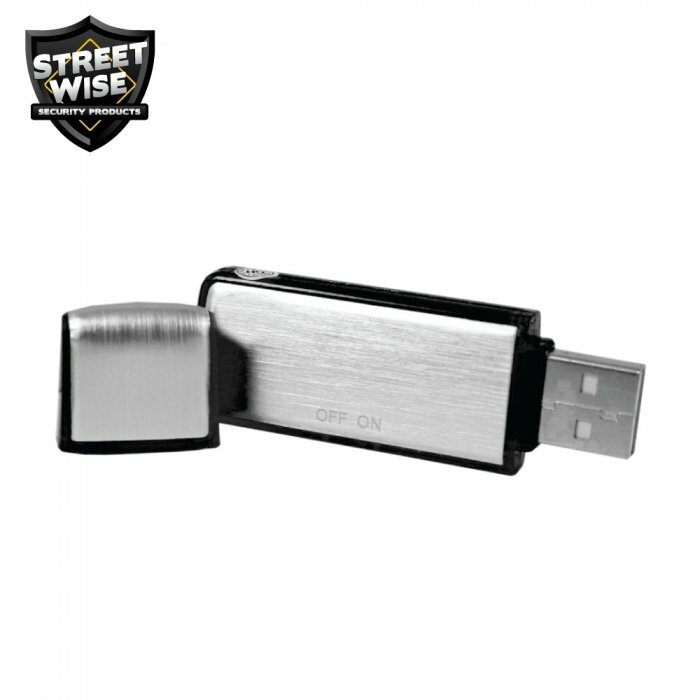 The rechargeable battery will charge each time you connect the unit to the USB drive and allows for up to 15 hours of continuous use when fully charged. Records Audio: Perfect for college students to save computer files and record lectures or for private investigators to discretely record conversations. Measures: 2.5 inches by 3/4 inches by 1/4 inches so it can fit easily into a pocket or purse. **Please note that it is the responsibility of the customer to check all State, Local, and Federal Laws governing the use of audio recording devices before ordering and/or using hidden or covert audio recording equipment.